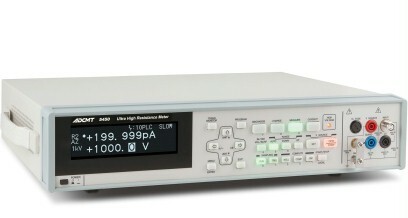 The 5450/5451 is a digital ultra-high resistance meter with 5½-digit display that integrates ADCMT’s traditional and new DC amplifier technologies. 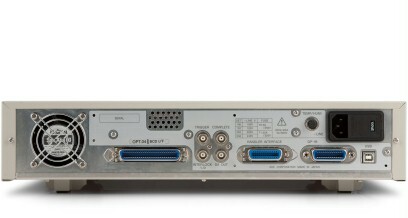 It was designed for ease of use so that anybody who operates this instrument can obtain the same measurement results. High-resistance measurements can be widely utilized for testing electrical insulating materials used in secondary cells, semiconductors, electronic components, capacitors, printed boards, filters, synthetic resin or rubber material in R&D, manufacturing, quality control and other fields. With the use of fixtures, the surface and volume resistance of material can be measured in line with JIS standards. 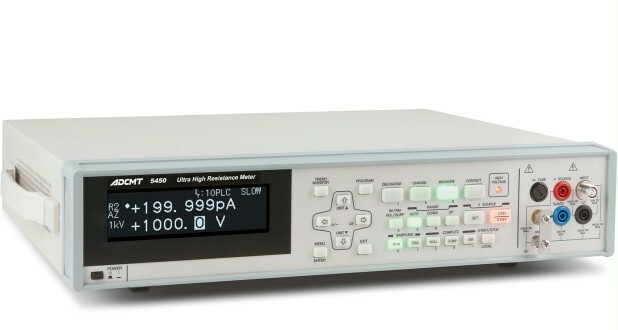 In addition, leakage current of semiconductor devices applied with high voltage can be measured with high sensitivity and high accuracy. *2 When the advanced setting function "input 1kΩ"; is ON, 15 digits are added to the digit error. 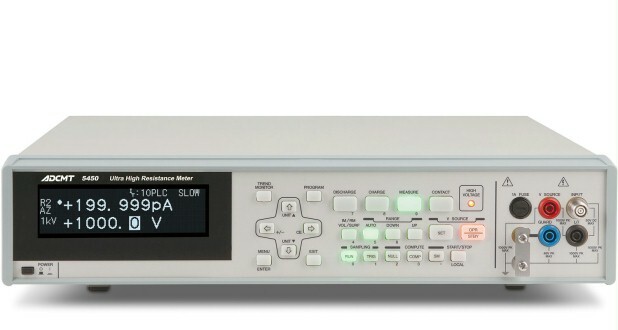 *1 When the data memory store is set to Burst, integration time of 500μs, sampling interval of 1ms, free run, auto range OFF, calculation OFF and measurement display OFF are automatically set, allowing measurement of 1000 reading per second.